Digital storytelling in online reports. - nexxar lab. - nexxar lab. Digital storytelling in online reports. The integration of storytelling into digital reports and its application to report-specific elements. It makes complex contents easily understandable and comprehensible. It can help to steer the stakeholders’ attention. It makes fact-based stories more authentic, credible and enjoyable. It has a significant value added, especially if selected story elements are also communicated all year round. The magazine is the one part of a report that clearly leaves room for actual stories. Nevertheless, most companies focus on textual storytelling and do not yet fully exploit the potential of digital visualisation – e.g. by including illustrations, graphics, interactive elements, videos, cinema graphs, animations and so on. The CNN campaign on Global Warming (non-reporting example, see below) illustrates very well how multimedia stories can be built and what impact this approach can have. Coming to the page, the user immediately dives into the topic by an impacting full-screen video and can further explore the story by scrolling (“scrollytelling”). By the means of scrollyteling, the user can clearly be guided through the multimedia content. At the same time, the variety of formats offers a diverse perspective on the topic, creates curiosity, is impacting and last but not least quite entertaining. Storytelling is not only applicable within magazines, but can also support facts and figures and therefore be integrated in the actual reporting part. One method to transform data into stories are infographics. Most reports include infographics – static, animated or interactive. Usually, they hold a lot of information and make hard facts comprehensible. But infographics can also tell stories and offer a way to engage the user. 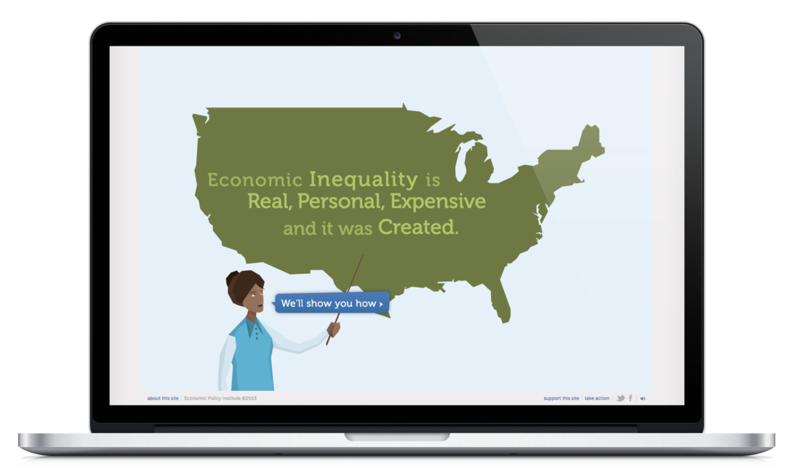 Again, we can learn from a non-reporting example: a campaign on income inequality whose storyline is presented in an interactive and very engaging infographic. By inviting to create a personal profile, the user becomes a part of the story himself. 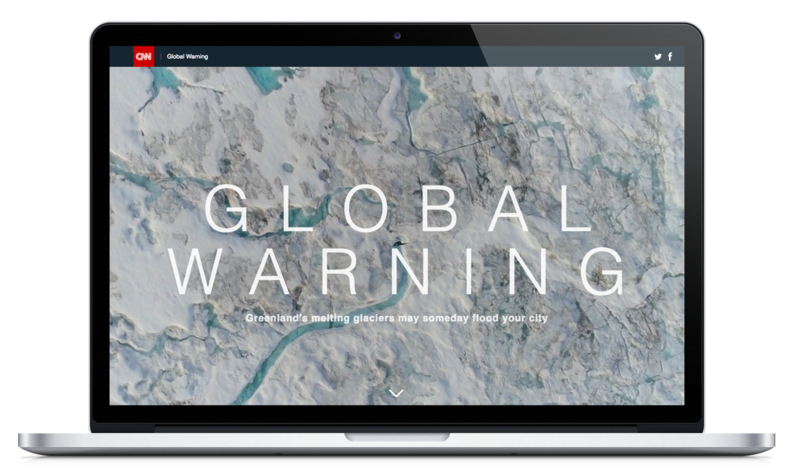 This concept and way of visualisation perfectly serves the strategy of the campaign: it customises information, involves the user, it is interactive and explorative – and therefore has the potential to be viral. Despite describing an essential part of a company, business models are often only presented in texts and single graphics. However, Toshiba is following the approach of basing their business model on digital storytelling. As an alternative to the classic infographic illustration, Toshiba created a digital scrollytelling version of their business model. The different business sections are presented as “hidden” solutions in our daily lives brought to life with the help of the story hero whom the user is following through the day. By the way, elements such as the business model are a perfect fit for your report communication plan, especially if based on a storytelling approach! On a very advanced level storytelling is not only applied on separate report parts but reflected throughout the whole report. Strategic development of a content concept. Application of storytelling strategy to different report elements. Use of design to carry, support and visualise the story. Honestly, we have not yet discovered a report that fully brought this to perfection. But there are good examples that are well under way. 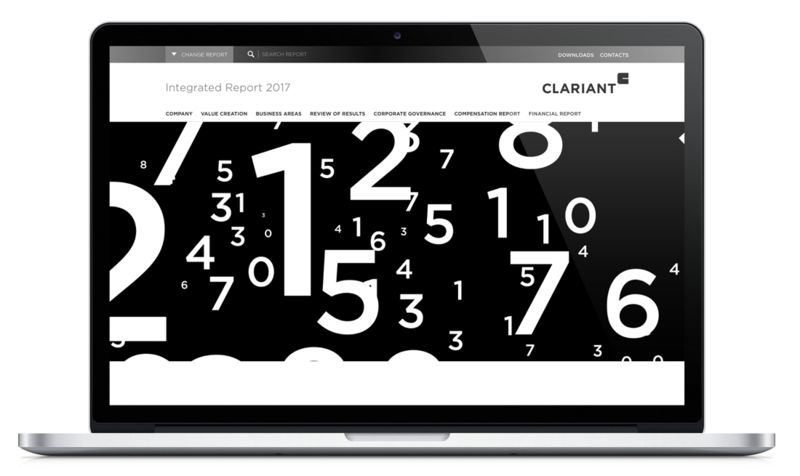 The Clariant Integrated Report 2017, for instance, has turned something very obvious into something special: They put numbers in the centre of their concept and turned it into the “hero” of the report. Throughout the whole report, numbers are the connecting theme – starting with the landing page animation and topics, followed by the magazine and finally they are the key visual of the design. The concept carries the reason why the report exists: Presenting numbers. Storytelling is a huge topic that holds a lot of potential for corporate reports – but: storytelling is also always an option, never a must have!